Very nice corner, end unit, townhouse that offers 2 bedrooms and 1.5 bathrooms, fenced rear yard with a good sized deck, detached storage room, dining area with bay window, and eat in kitchen. The master bedroom is large and features vaulted ceilings with two skylights and the upstairs bathroom offers separate shower and garden tub. It also comes with two assigned parking spaces! Take a look today!Buyer responsible for all HOA transfer fees. Listing broker & seller assume no responsibility and make no guarantees, warranties or representations as to the availability or accuracy of information herein. All info must be verified by the purchaser. SchoolsClick map icons below to view information for schools near 9300 Stone Meadow Dr Henrico, VA 23228. Home for sale at 9300 Stone Meadow Dr Henrico, VA 23228. Description: The home at 9300 Stone Meadow Dr Henrico, VA 23228 with the MLS Number 1904003 is currently listed at $170,000 and has been on the Henrico market for 71 days. 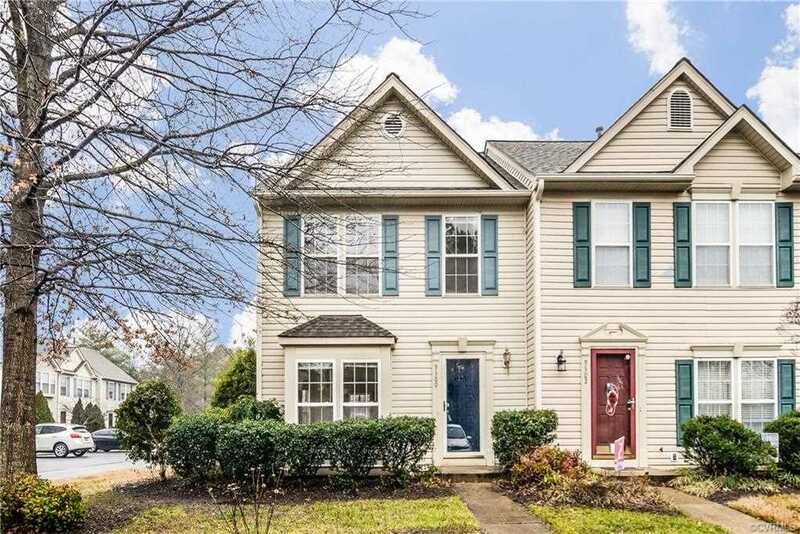 You are viewing the MLS property details of the home for sale at 9300 Stone Meadow Dr Henrico, VA 23228, which is located in the Lakeland Towns subdivision, includes 2 bedrooms and 2 bathrooms, and has approximately 1356 sq.ft. of living area.